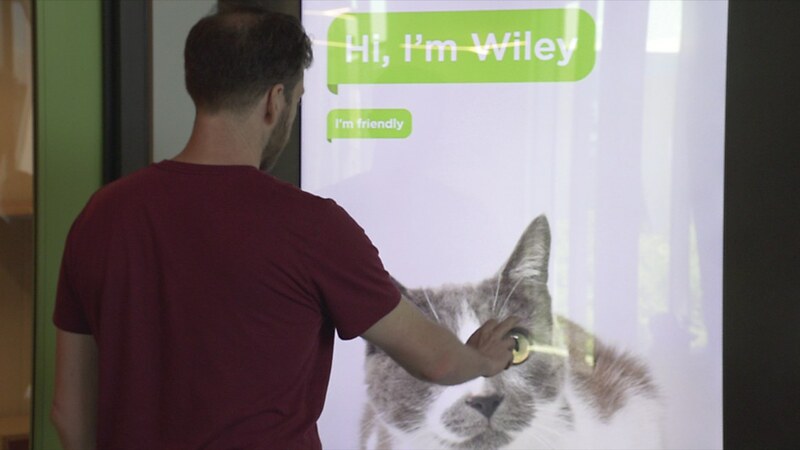 Overview: It greets visitors as soon as they arrive at Wallis Annenberg PetSpace. 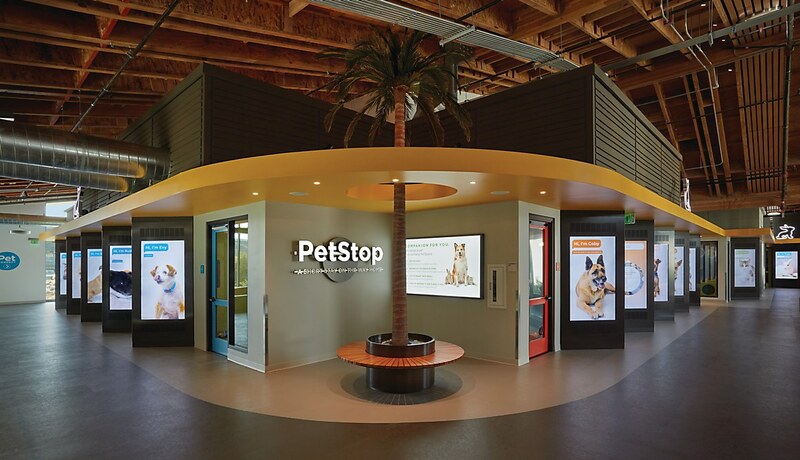 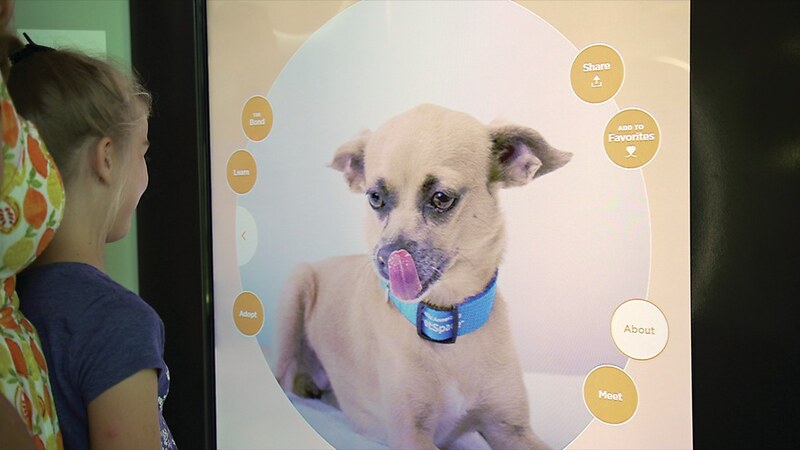 The wall, called PetVision, is one of the four interactive experiences created by Seattle, Washington–based design studio Belle & Wissell, Co. for the pet adoption center in Playa Vista, California. 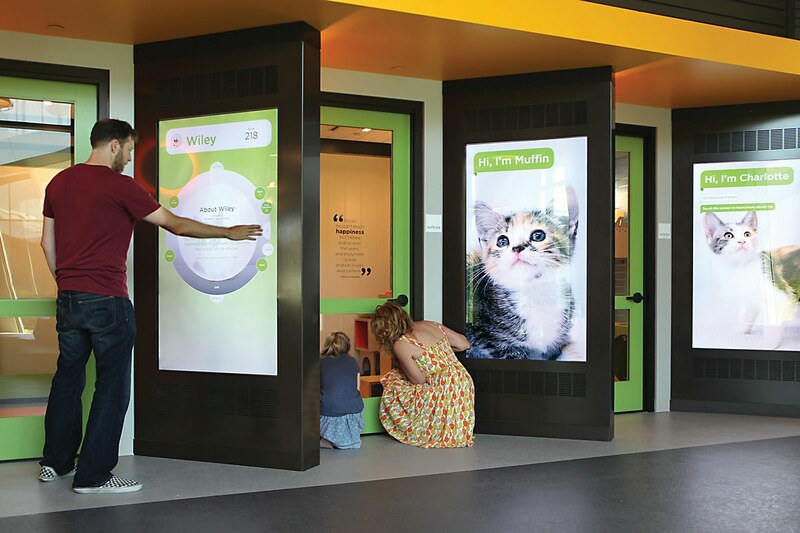 Other experiences include PetBook, which introduces guests to adoptable animals; the Wag Center Gallery, which presents profiles of the human/animal bond; and the location-aware Wallis Annenberg PetSpace App. 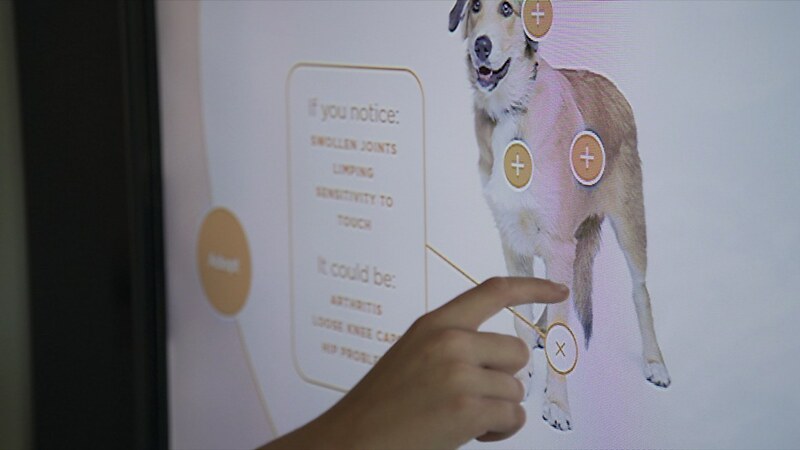 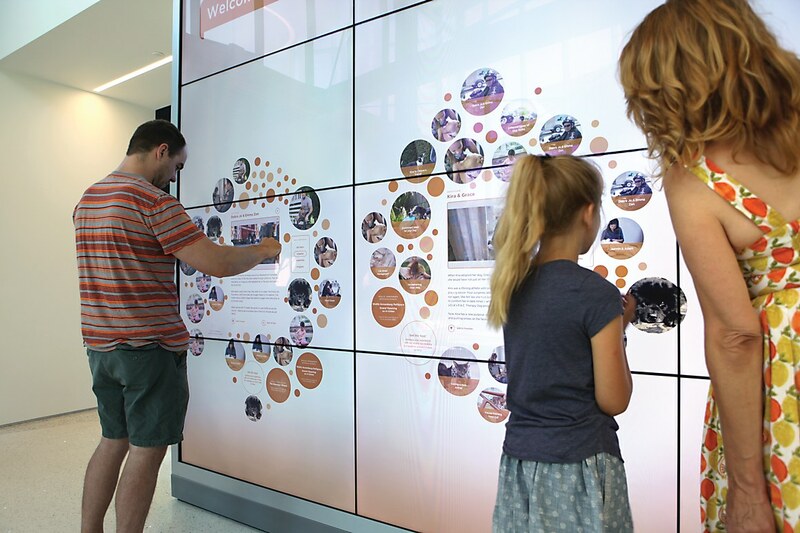 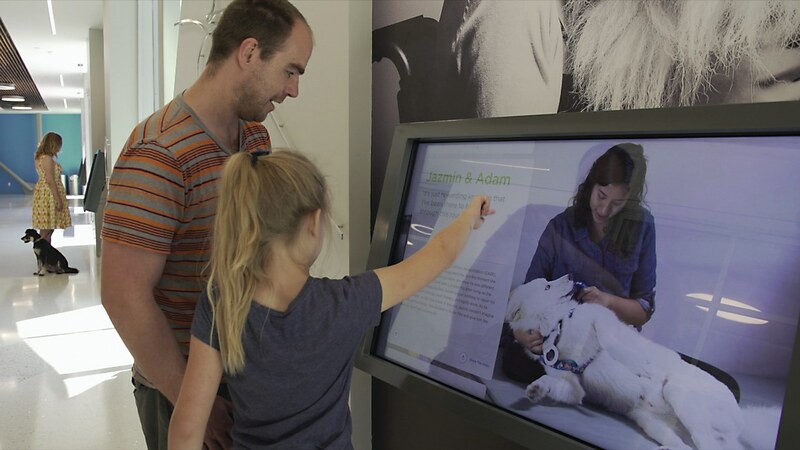 From sharing white papers about the therapeutic impact of animals to posting photos of new pets, there are plenty of ways that visitors can delve into this interactive suite. 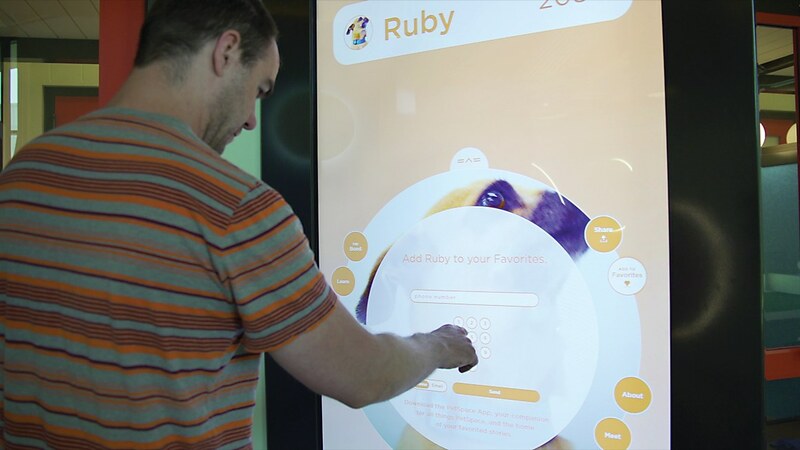 • The system pulls from five data feeds provided by five different vendors in multiple locations. 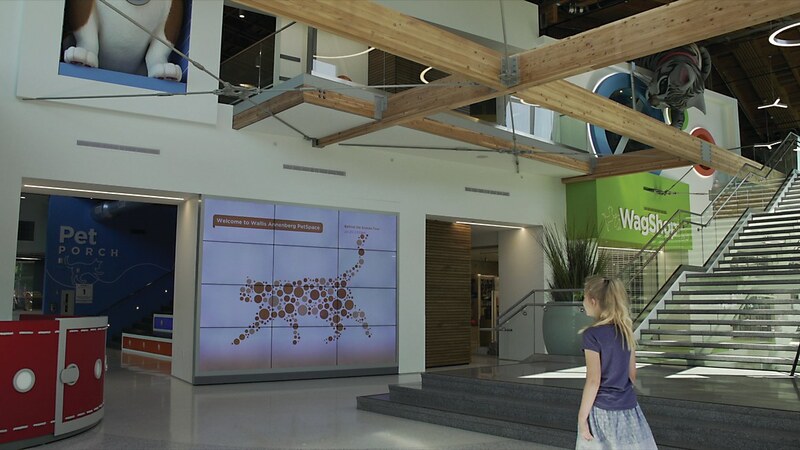 • The project took eighteen months to complete. 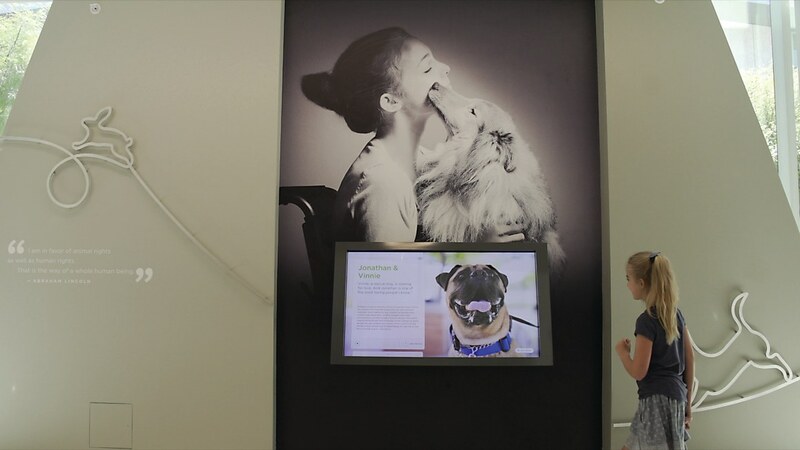 • The grand opening of Wallis Annenberg PetSpace, held on June 24, 2017, attracted a large number of attendees, including Instagrammer The Dogist.